UK based, JMC Recruitment Solutions, have achieved the BS EN 9100-2018 certification. BS EN 9100-2018 is an internationally recognized Quality Management System (QMS) standard, designed to cater to the specific requirements of the aerospace industry. The standard is intended to drive organisations towards continuous improvement, ensuring their focus on meeting customer requirements, and ensuring customer satisfaction. The pathway that led to JMC achieving this standard took place over several years. The JMC QMS was certified to ISO9001-2008 in 2014 before upgrading to ISO9001-2015 in March 2018. The work that went into achieving these standards, including the development of a suite of documentation, processes and procedures, ensured that the business had an excellent foundation from which to build to the more rigorous standard. 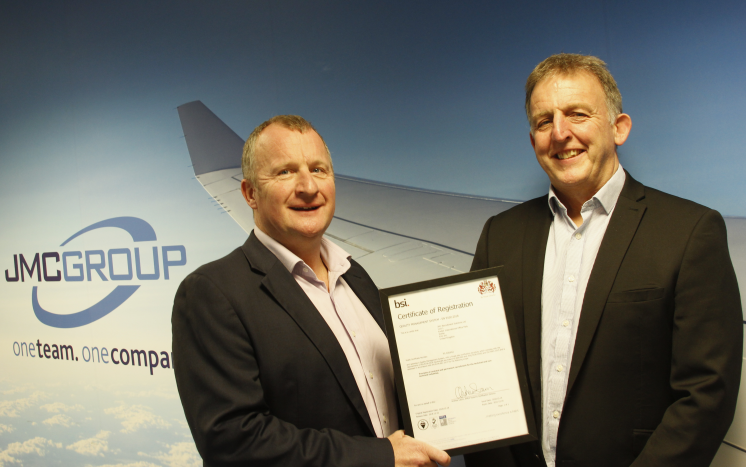 Following a carefully managed project to ensure that the firm was able to comply with the precise wording of the BS EN 9100-2018 requirements, a certification audit was completed by a panel of BSI auditors. The audit was completed and the JMC QMS emerged without any reported non-compliance items or observations.